Los Angeles, CA – Hatzolah has received pushback from the Los Angeles Fire Department and its firefighters’ union as the Orthodox Jewish emergency response service has tried to obtain a license from a county agency. The service wants to transport noncritical patients to or from a medical facility and respond with ambulances to emergency calls using lights and sirens. Across the United States, independent chapters of this type of Jewish emergency response service have formed agreements with city agencies to respond, free of charge, to emergencies, according to the Los Angeles Times. The Los Angeles Fire Department, which is the only entity that can respond to 911-type calls designated as Code 3, or requiring lights and sirens, said that allowing another entity to respond to emergencies creates a public safety issue. 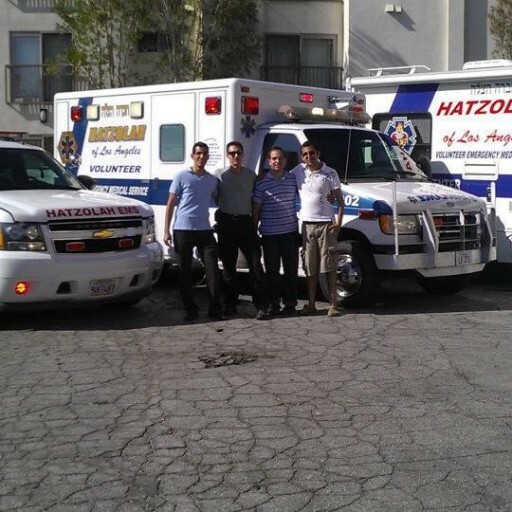 Hatzolah’s practice of alerting 911 to emergencies while sending its own responders to a scene without authorization is in violation of the Los Angeles County code, the group was told during a licensing hearing last month. Hatzolah is asking for an exception from the county’s Emergency Medical Services Agency, saying that volunteers who speak Hebrew, Yiddish or Farsi act as translators for firefighters and are trained on how to apply Jewish law when responding to emergencies on the Sabbath. In addition, the service said its response time is faster because its volunteers live in the neighborhoods where the calls are coming from. The service even with the license would be prohibited from performing more than basic life support, like CPR, or responding and transporting patients during medical emergencies, like a stroke, heart attack or shooting, according to the Times. Meanwhile, the California Highway Patrol has certified Hatzolah as an ambulance company, which allows it to drive Code 3 to a call. Each city and county may institute additional regulations, however, as Los Angeles has done.